When the mayor of Seattle sought support for a city-supported preschool program, one of the first calls he made was to Children’s Home Society of Washington (CHSW), which has been under the 25-year leadership of Sharon Osborne, AM ’72, someone who has devoted her career to improving the lives of children. Voters in Seattle approved a property tax increase for the initiative in November 2014. This fall, a voluntary program will begin to bring high-quality, affordable preschool education to all 3- and 4-year old children in the city. “Here in Washington state, there’s strong community support for prevention and early intervention programs. We are the only state in the country that has a cabinet-level early learning department. Our program in Seattle will emphasize working with the entire family and not only the preschooler. We have to work with families to address their extended needs in order to prepare their children to enter school on a level playing field with other children,” she adds. Under her tenure, CHSW has developed solid relationships within state government, policy makers, philanthropists, and academics. For years, Osborne has extended her advocacy work to the federal level, especially now as the board chair of the Children’s Home Society of America (CHSA). Based in Chicago, CHSA provides advocacy and leadership at the national level while its affiliates, including the CHSW and other agencies around the country, provide an extensive array of programs and services designed to holistically support children and families, including adoption, early learning, foster care, family support, child and family counseling, parent education and advocacy. Each year for the last four, CHSA has provided Congress with a briefing on child welfare issues. Osborne’s first encounter with poverty came early when she volunteered during a summer break in high school. She lived with a local family in Appalachia and worked in strawberry fields with others in the community, including small children. “Not only was there physical poverty, but there was intellectual and emotional poverty that touched me deeply. I didn’t know what social work was or that I could become a social worker—but I knew then that I needed to do something to create change for these families and their children. I wanted to understand the underlying conditions and causes of such deprecation and poverty,” she says. While in college and upon graduation she spent a few years with the child welfare department for the state of Kentucky, working as an itinerant social worker just as the federal government was beginning to roll out the War on Poverty and Head Start. “Back in the ’60s, all of these programs were in their infancy, so we were learning as we went,” she said. She attended Spalding University in Louisville, Ky., where she majored in clinical social work and received her bachelor’s degree. 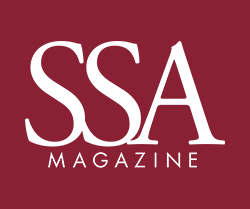 It was there that her mentor, Mary Truehart Titzl, PhD ‘68, encouraged her to enroll at SSA. She was accepted into SSA’s community organization track as well as a special interdisciplinary public policy program co-created by Dean Harold Richman where she took classes at the UChicago Law School as well as SSA. “Harold Richman, a leading national expert on child welfare, was a phenomenal mentor to me. He was able to look at larger systems of education, health, housing, and employment and approach these systems in an interdisciplinary manner,” she says. Her first year field placement was with the Manpower Division in the City of Chicago helping low-income youth get summer jobs. Her second was with the governor’s health care licensure commission. Not long after SSA, she returned to Kentucky where she was appointed Director of Day Care and Child Development for the Kentucky Department of Child Welfare. She also began teaching social work at Spalding University and the University of Louisville, and subsequently took a full time position as associate director of the BA social work program at Spalding. In 1974, Osborne married Sam Granato and moved to Washington, D.C., for his job with the U.S. Department of Health and Human Services. While there, she worked for a consulting firm conducting evaluations on the effectiveness of the state departments of aging around the country and taught social work at The Catholic University of America. A few years later, they moved to Alaska where she worked with the Tlingit Haida Native Corporation and later was appointed to the position of director of Research and Planning for the Alaska Department of Health and Social Services. Opportunities for herself and her family led them to Washington state in the 1980s and Sharon joined CHSW in 1985 to help develop the organization’s new strategic direction and manage programming in the Puget Sound region. In 1989, she was named the CEO of CHSW. Established in 1896, the society is Washington’s oldest and largest statewide children’s service and advocacy organization. Under her leadership, the number of children of all ages and their families the society supports has expanded tenfold, now serving almost 40,000 children and families each year. She has increased the number of service sites from less than 10 to more than 25 and manages a budget in excess of $20 million that represents one of the largest voluntary children and family agencies in the United States. Today, CHSW is a synergistic multiservice organization providing a range of innovative, high-impact family support and therapeutic services, including early childhood education, child and family counseling, permanency and advocacy. “Sharon gets results. If you run an organization well with programs that are evidence-based, you can achieve a lot with $20 million, which seems relatively small. But I’ve seen organizations with $100 million that are not able to help families the way CHSW does,” Testa says. Osborne works with researchers at universities all over the country on evidence-based research so that CHSW can be optimally effective—and move the field of child welfare forward. One such project is with Jack P. Shonkoff, M.D., professor and director of the Center on the Developing Child at Harvard University on an evaluation of how to train social service providers to using video clips of families interacting. She also established, along with her CHSW counterparts and Testa’s help, a national child welfare practice-based research network co-sponsored by the University of North Carolina at Chapel Hill School of Social Work and CHSA. In 2014, Osborne realized one of her major professional dreams to provide a lasting source of private income for CHSW with the establishment of a multi-million dollar fund to support the work of CHSW in perpetuity. Osborne has also worked with and held leadership positions with the Child Welfare League of America, where she chaired a task force of nonprofit CEOs to develop nationwide standards of excellence in organization and management. Similarly she has served with the Children’s Defense Fund and National Children’s Alliance. She is a past chair and executive committee member of the Council on Accreditation and was treasurer and executive committee member for the International Forum for Child Welfare (IFCW). In 2006, she was appointed liaison to the United Nations representing IFCW. She assisted in the development and passage of the Convention on the Rights of the Child. Osborne currently serves on the Board of Trustees for CARF International, an organization that accredits health and social services programs and agencies in the U.S., Europe, Canada, Mexico, and beyond. When asked what advice she would give master’s degree students, Osborne says that students should have a sense of where they want to focus. “Look for a holistic program,” she says. “A lot of students believe that they want to do one-on-one counseling, but there’s more to social work than that. People often don’t think of policy or program development, leadership/ management, research. Social work education is a marvelous foundation to explore many avenues and career paths,” she emphasizes.